My dearest and most beautiful Mommy Mom! Ohhhhh my goodness!!! 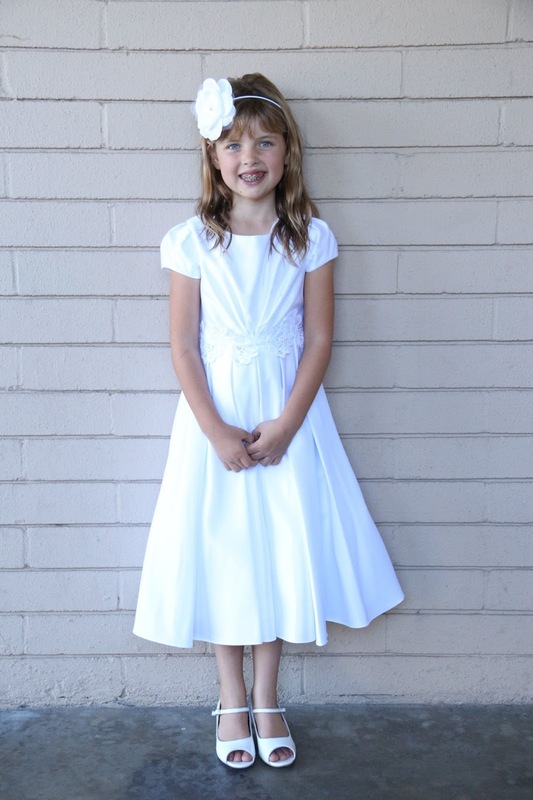 Those pictures from Olivia's baptism melted my heart!!! She is growing up so much. She is such a beautiful little girl. I miss her! I did get a few packages! Uhhhhhh the dried fruit?? Yeah, all the sisters were trying to STEAL IT!! Hahaha just kidding I was happy to share!! But it's almost gone. THANK YOU THANK YOU! Oh, my goodness and the little birthday package from Dear Elder! SO CUTE! It was funny because that morning before I got the package Sister Clinger and I were talking about how much we were craving cake and then you send me my favorite kind of cake mix!! WOW this week was nuts!! Yes, I got to see my dear friend Sister Clarke! It was a little hard on her when I was calling her Sister Clarke because she misses being a missionary so I now just call her Kenny. 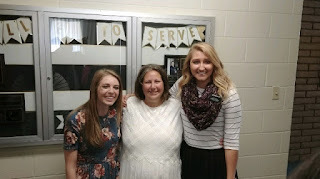 And Sister Clinger and I got to go back to our greenie area in the blessed land of Apple Valley to witness S enter into the waters of baptism. 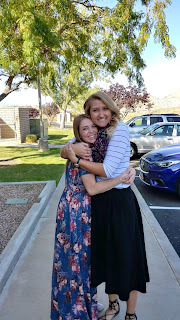 I have to admit I was pretty nervous because I didn't want to have Sister Clinger feel like she was going to be left out because of Sister Clarke and I being reunited for the day with S. But Sister Clinger really is such a patient, understanding and loving Sister. I am so incredibly blessed to have her. She and I truly had a wonderful time on Saturday!! So, at the baptism, S insisted that Sister Clarke and I stand back through the doors next to the font so we can be right there with her when she comes out. The Spirit flooded the room as she came out of the water. 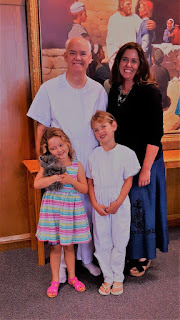 Sister Clarke and I both cried and felt so much love and joy for S on her decision on entering through the gate towards eternal life. We felt heaven smiling down upon her. It really was such a special day and I will never forget it. The work is going great in Rancho! We were pretty successful with our less-actives this week. Our fire is growing so much lately and we keep finding ourselves not even wanting to come home at the end of the day. Haha coming home at night is the worst! Every time we wake up we sing this super cute girls camp song that goes like this :) "Arise and shine and give God your glory! Children of the Lord!" And it just repeats. We LOVE MISSIONARY WORK! Good news. Sister Clinger and I are staying!!! WOOOO!! I was so relieved to be able to have at least one more transfer with her. She is a champion!! Keep trying. Keep trusting. Keep believing. Keep growing. Heaven will be cheering you on today, tomorrow, and forever. So, Sister Clarke (Kennede) sent me a message that she was going down to the baptism. And someone (not sure who) sent me that beautiful photo of you two. I attached it for you! I'm sure it was amazing to see Sister Clarke! She thanked me again for letting you serve a mission. You two remind of my first companionship in Venezuela. I know you are best friends forever! I want to hear all about the baptism. 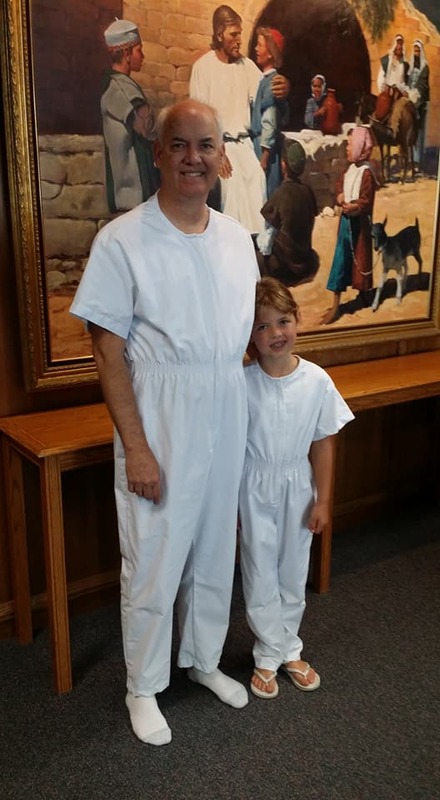 S friended me on Facebook, so I was aware that she was getting baptized. And I had remembered that you mentioned her awhile back. I was hoping that you would be able to travel to Apple Valley for her baptism. Hooray! S did send a message that she didn't want anyone to post pictures of the baptism on Facebook because some family/friends were not happy about the church. I did post a picture of you and Sister Clarke, but I didn't say anything other than it was you two. Anyway, I can't wait to hear about it. And you will have your 9-month mark on Wednesday, October 11th!!!!!!! I can't believe it. You are halfway! Do they still call it "hump day"? And your birthday is on Friday, October 13th. I sent you various packages. One of the packages was sent from here. And then I ordered several things. So, hopefully they have arrived. Keep me posted. We all love you so much, and want you to have a glorious day teaching the gospel! I can't think of a better way to celebrate your birthday then in being a wonderful, diligent, faithful, and spectacular sister missionary! And you are all of those! I am so proud of you! I know things are not always easy. But you have grit! You have the will and the faith to move mountains. And you can't jump over the hurdles that you face. And you can be faithful in every situation. I pray for you constantly. Anyway, Happy Birthday my beautiful missionary daughter! I am so proud of you. Let me know how things are going. How is Sister Clinger? I want to hear about your investigators, and how the Lord's work is going in Rancho Cucamonga! Be strong and of a good courage! May the angels be round about you to bear you up! I love you to the moon and back! Hello hello! Oh my goodness I love you so much😊Thank you for the beautiful thoughts you shared with me in your email! This week was CRAZY!! A couple of days ago, we went down to the car to get something out of our trunk and guess what. I accidentally locked the keys in the trunk. Our apartment was locked, our phone was in the apartment and I didn't have shoes. What was I thinking!? I thought to myself "We are only going to the car and coming right back." and you know me, I don't like wearing my shoes anyways. Hahaha so that situation was just all bad! We prayed and after we said "amen" we noticed a guy getting out of his car and we felt an instant prompting to ask him for help. We tried calling president Taylor and our car coordinator and no one would answer and then we realized they were at the priesthood session!! What now?! 2 hours pass by before we were saved. But amidst those 2 hours was a great discussion we had with the guy that helped us. We were testifying of the things that we teach and the spirit was so powerful! We felt strongly that we were in fact supposed to meet him. Faith in God includes faith in His timing. My testimony of that was surely strengthened. Our investigator, Rose, came to watch 3 sessions of conference at a members house! She really enjoyed it and we are confident that it really helped her on her path to conversion. I don't even know where to begin with my thoughts about conference. I DID NOT WANT IT TO END!!! The main thing I would like to mention is I thought I already had a deep deep love and appreciation with the Book of Mormon. But after conference, my love for the Book of Mormon tripled!!! After we got to the apartment as our day was closing out, I couldn't help but to pick up my scriptures and just read them until I fell asleep. K maybe this will help you get an idea of how much I love the scriptures. I curl up with my scriptures every night! Hahaha how could you not love the scriptures!? Every time I study them my perspective of everything around me widens and the fog lifts. My thought process is much clearer and I just understand things better when I raid the scriptures and instead of just reading them. Wow. So sorry I am running out of time and I have to wrap up my email! There were so many other things that I wanted to talk about but they will have to wait! I love you to the moon and back my beautiful mommy mom!!!! I'm listening to Elder Andersen's talk again right now. The spirit was so strong. When we got the news of Elder Hales' passing I cried. Even though I knew he was near the end of his life, it is still so emotional. And then when Elder Andersen talked about how President Nelson was prompted to leave at the end of the first session and go to Elder Hales' bedside, and so he was there when he graduated to the next life. How amazing is that, and I loved the words Elder Andersen, "he was there as his quorum president!" I love miracles, and I love hearing about inspiration and revelation in our day. Heavenly Father speaks to us continually, and we are to listen. It gives me strength to work harder and to do better, to pray more, and to study more. Yesterday morning as I was studying my scriptures, the verse in D&C 18:47 hit me like a ton of bricks: "Behold, I, Jesus Christ, your Lord and your God, and your Redeemer, by the power of my Spirit have spoken it. Amen." As I read the words, "your Redeemer," that went deep into my soul. I remembered a beautiful oratorio entitled "The Redeemer," and one of the songs used text from that scripture, and I could hear in my mind, "and your Redeemer." And then I could picture the Savior as He would say it so gently, and yet so powerfully, and so full of love. He can say "your Redeemer," because He suffered for our sins, for our infirmities. He loves us so deeply and perfectly. That message is what the gospel is all about, Jesus Christ and His atonement, that He suffered and died, and rose again on the third day. It is the glorious news, and what a privilege and blessing we have to have the gospel and our testimonies, to hear the words of the living prophet and apostles. 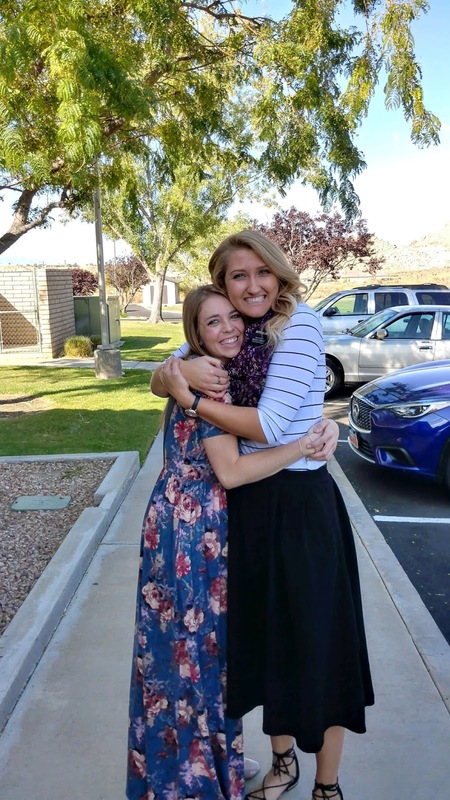 I love you so much my beautiful missionary daughter! Be strong and of a good courage. May the angels be round about you to bear you up. I love that President Monson used that scripture also, about the angels round about us! I've been thinking about President Monson's testimony of the Book of Mormon during this conference. His testimony was so simple and to the point during the last conference. And then it was so amazing to hear President Eyring and President Nelson also talk about how powerful the prophet's counsel was to each of us, in studying the Book of Mormon, and hearing the voice of the Spirit. Mommy Mom: I know it is true!